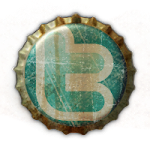 This month's edition of The Session, aka Beer Blogging Friday, a regular roundtable of beer bloggers writing on a chosen subject, concerns local brewery history. Host Reuben Gray of The Tale of the Ale asked for a profile of a local brewery at least 20 years old, and as none of Ann Arbor's current breweries meet that criterion, I reached back in time to talk about one of the city's 19th-century establishments. 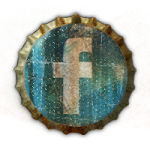 And I'm a little late, so this is Beer Blogging Saturday. I decided to write Ann Arbor Beer: A Hoppy History of Tree Town Brewing for two reasons. The first is that I already knew this Midwestern college town — like so many other older towns across America — had a solid pre-Prohibition brewing history. The second is that I also knew, apart from some scattered newspaper mentions over the years, that nobody had really bothered to seriously document any of this history. Enter me. I did it. I answered the siren call of The History Press, a small publisher with a series of books out about the beer histories of various cities throughout the several states. It was a chore made so much easier by Ann Arbor’s colorful past. First of all, Ann Arbor benefited from nearly a century of German immigration. And as any decent historian knows, where there’s Germans, there’s beer. Ann Arbor’s German immigrants set up at least four nineteenth-century breweries in a town that, population-wise, was a small fraction of what it is now. I can’t help but think about that any time a modern-day teetotaler wrings his or her hands over how drunk and terrible our fair city is these days. 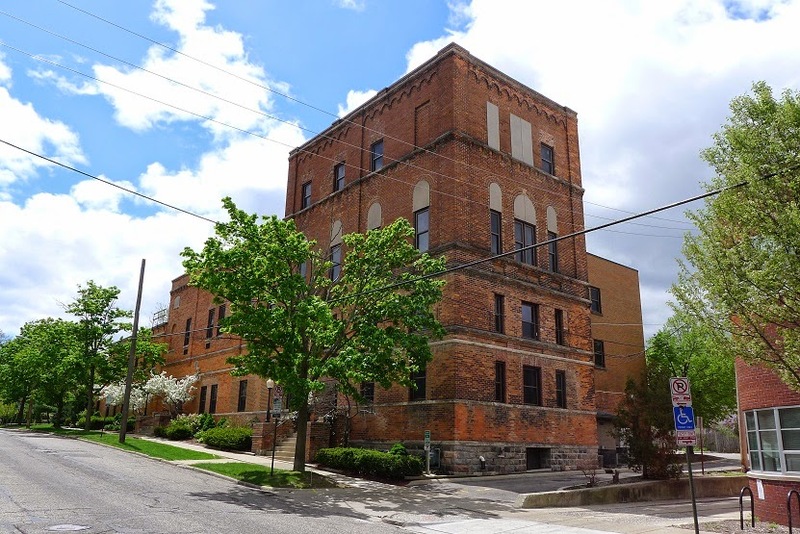 Thanks to the fact that Ann Arbor has some regard for its own history, the buildings that once housed these breweries are all still standing. One of them, I learned soon after I began my research, is visible from my front window. It’s the former Michigan Union Brewery, which, following the scourge of Prohibition, re-opened as the Ann Arbor Brewing Company and closed for good in 1949. Peter Brehm with his son, Gustave. The present building dates only to 1902, but the brewing history of the site stretches back to 1861, when Bavarian immigrant Peter Brehm founded the Western Brewery, an early maker of lagers. Unfortunately, the whole brewery burned to the ground three years later, but Brehm rebuilt bigger and better: The new brewery building included two stories atop a lagering cellar and measured 60 by 30 feet. By 1870, Brehm’s success at selling beer to thirsty Ann Arborites afforded him the ability to build a handsome new brick mansion to house his family, which included wife Louisa, stepdaughter Caroline, and son Gustave (who would later also play a role in Ann Arbor’s beer history). It was this house where, in 1873, he shot himself in the head for reasons that are not clear. Newspaper accounts of the time suggest he suffered from delusions and speculated they were the result of heavy drinking. The house today is undergoing renovations to serve as offices for a local tech firm. In 1902 the brewery was renamed the Michigan Union Brewing Company at the same time the owners unveiled the new four-story brick building that remains today. By 1906, MUBC was churning out 35,000 barrels and distributing beer far and wide, thanks to a state-of-the-art bottling operation and these new-fangled things known as automobiles. It all came to an end in 1918 on a day one former employee recalled as the “saddest” of his life. Michigan voters imposed Prohibition a full year before the national version, and government inspectors came a-calling to shut the operation down and pour all the beer down the drain. The brewery then tried its hand at nonalcoholic “near beer,” but the discerning German palates of Ann Arbor weren’t interested. An ice cream company occupied the building for the rest of the Prohibition era. Once beer was re-legalized in 1933, the old brewery roared back to life under the leadership of three local contractors, who renamed it Ann Arbor Brewing Company. 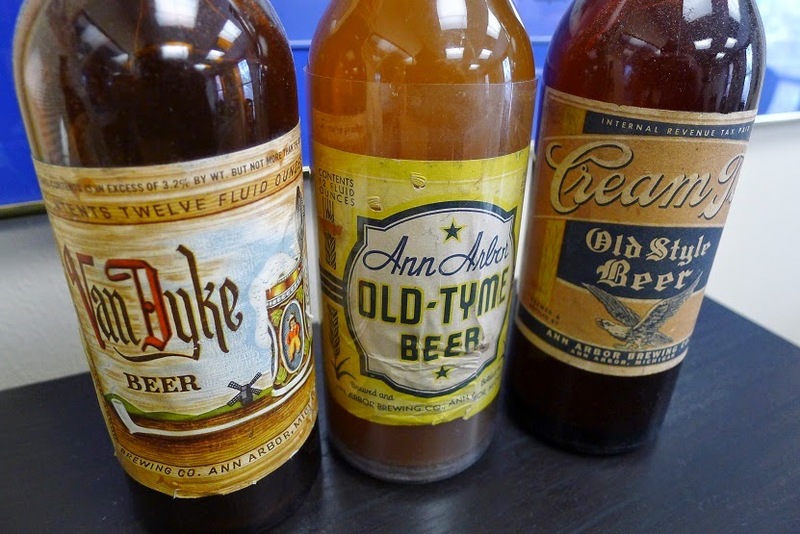 Throughout a string of ownership and brewmaster changes, AABC put out several brands of beers, including Cream Top Old-Style Beer, Ann Arbor Old-Tyme Beer, Town Club Beer, and Van Dyke Beer. The interesting thing about these beers is that, apart from the labels, they were actually all the same beer, according to a number of sources. The brewery did, however, make one beer that was different, a bock. now the offices of Mathematical Reviews. None of the brewery’s products seem to have been particularly well loved by the locals, and as regional beers like Stroh’s out of nearby Detroit became more prominent, Ann Arbor Brewing struggled and finally closed its doors in 1949. No beer would be brewed commercially in Ann Arbor again until 1995, when Matt and Rene Greff opened the Arbor Brewing brewpub on Washington Street. The building has since served as an audio/visual lab for the University of Michigan and today is the headquarters of Mathematical Reviews, where Managing Editor Norm Richert maintains a small display of Michigan Union and Ann Arbor Brewing memorabilia in the corner of his office. 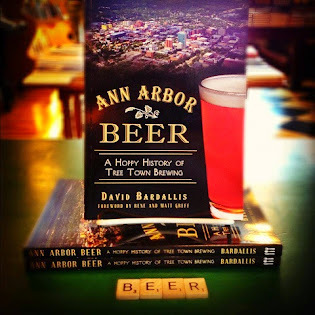 You can read more about Ann Arbor’s illustrious brewing past and present in my book.